After Thomas Newcomen's pioneering invention of the steam engine, the development of assembly line work and Henry Ford's mechanization of production, and John Parson's first numerically controlled machine, we are now in the midst of the fourth industrial revolution. The new 62-metre-long pedestrian bridge “Baakenhafen Mitte” in the new HafenCity quarter in Hamburg, for example, is not just an impressive construction. Companies and researchers from Saxony-Anhalt have also turned the bridge building into a “digital construction site” in a pilot project. By means of radio-based tracking technology, the elements of the bridge were tracked both during their manufacture in the factory of Stahlbau Magdeburg GmbH and during assembling. This information is processed in a site information system developed by the Fraunhofer Institute for Factory Operation and Automation (IFF) in Magdeburg, which is at the same time also able to simulate logistic flows in such a way that the customer will in future be able to call the respective project status in real time, from the production up to the assembly. Industry 4.0 – According to the Association of German Engineers (VDI), Saxony-Anhalt is well prepared for the fourth industrial revolution. More and more companies are recognising the relevance of digitisation or are already working with it. Mechanical and plant engineering is particularly important in this process. Because the industry is one of the top five in terms of sales volume and is continuing to develop extremely well. Saxony-Anhalt currently has 364 companies in the machinery and plant engineering sector. In 2016 they generated approx. 2.3 billion euros of sales. Around 80 companies, with more than 12,500 employees, are directly active in the industry. More than a third of all businesses in the manufacturing sector in Saxony-Anhalt operate in the field of mechanical engineering, the manufacturing of metal products, and metal processing. Excellent conditions for national and international companies in the industry to settle here. “Companies and research institutions are traditionally very closely networked here in Saxony-Anhalt, right along the value chain. For example, the state offers firms attractive cooperation options for successfully building up their mechanical engineering companies and opening up European markets”, emphasises Thomas Einsfelder, Managing Director of the Investment and Marketing Corporation Sachsen-Anhalt (IMG), the business development agency of this German state. “As IMG we are the partner for investors and support them during the whole settlement process: during the search for a site in the state, in questions of subsidies and financing, and dealing with authorities, to pointing out suitable partners or networks”, adds Einsfelder. Saxony-Anhalt is a high-performing region in machinery and plant construction, with an international profile. Engineering “Made in Saxony-Anhalt” is in demand around the world: almost 40 percent of all the industry’s sales are abroad. The Ministry of Economic Affairs, Science and Digitisation of Saxony-Anhalt has recognised machinery and plant engineering as a driving force for the state’s economy and defined the industry, in the “Regional Innovation Strategy of Saxony-Anhalt 2014 to 2020”, as one of the economic lead markets requiring particular political support. This market of the future in Saxony-Anhalt is called “Energy, Mechanical and Plant Engineering, and Resource Efficiency”. And the order books are full. In the past few years, monthly sales figures have been consistently above the respective level of the previous year. 150 years of experience are the basis of this success. Globally operating companies include, for example ENERCON GmbH, SKET Maschinen- und Anlagenbau GmbH, FAM Magdeburger Förderanlagen und Baumaschinen GmbH, MTU Reman Technologies GmbH or Laempe & Mössner GmbH. The big systems are built in the state’s chemical parks. 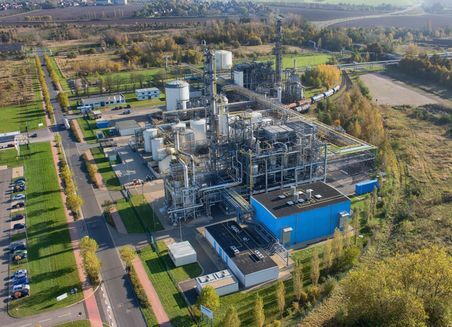 The chemical region of Central Germany includes, for example, Dow Olefinverbund GmbH or the TOTAL refinery at the chemical site of Leuna, one of the most modern refineries in Europe. Previously a centre of heavy machinery construction, Saxony-Anhalt is now focussing on high-tech production for producers and suppliers of the machinery and plant engineering industry. As one of Germany’s leading states in the use of renewable energies, Saxony-Anhalt is also making use of its existing technological edge in renewable energy systems in this emerging market. Another advantage of the site: In the state there are qualified, flexible skilled personnel, and universities, among other institutions, that specialise in producing new engineers, with around 11,000 students of engineering sciences. 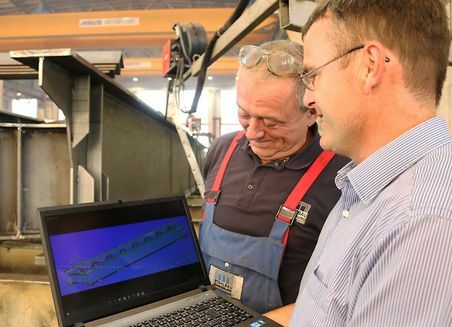 In order to continue to exist in the future, the emerging market of machinery and plant engineering in Saxony-Anhalt is relying on digitisation. The Head of the Fraunhofer Institute for Factory Operation and Automation IFF, Professor Michael Schenk, expects that the digitisation of products and production processes will open up massive potentials. Above all, however, Saxony-Anhalt has an above-average scientific landscape, with two universities, four technical colleges, and more than twenty non-university research institutions. “This highly efficient science and research landscape is a genuine site advantage for Saxony-Anhalt, especially with Industry 4.0”, says Andrea Urbansky. 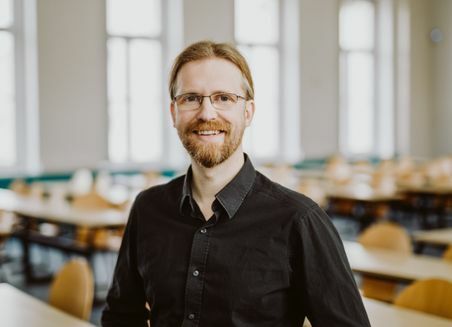 This scientist from the Fraunhofer Institute for Factory Operation and Automation IFF is also the Managing Director of the Special Purpose Association for the Promotion of Machinery and Plant Engineering FASA. “Interaction between business, science and politics is urgently necessary, so as not to miss the point of entry into the digital world of work”, says Andrea Urbansky. FASA e.V., together with KAT (Network of Expertise for Applied and Transfer-Oriented Research), therefore started the “Partnership Network Economy 4.0”, with the support of Saxony-Anhalt’s Ministry of Economic Affairs, Science and Digitisation. The aim of the network is the sustainable bundling of regional activities in the field of the digital economy and society, and the swift spread of technological innovations out into the world from Saxony-Anhalt – made in Germany. Primarily medium-sized enterprises such as Rubicon GmbH make Saxony-Anhalt a high-performance region in the sphere of mechanical and plant engineering. 150 years of experience constitute the basis for the most important of all industries in the federal state. Over 15,200 employees in the 160 companies compiled a turnover of about 2.7 billion euros in 2017. The longest production line which was ever developed and built by Rubicon Gummitechnik und Maschinenbau GmbH in Halle (Saale) is nearly 90 metres long. It operates in South Korea. The company specialises in the production of extrusion systems for the entire rubber processing industry and provides customised solutions worldwide to manufacturers of technical rubber products as well as the tyre and cable industry. Profiles from systems made in Halle seal the windows of cars and even the glass window facades of skyscrapers around the world. Moreover, Rubicon provides extrusion systems for silicone products such as catheter tubes utilised in the field of medicine. “Production lines have been delivered in more than 60 countries. In our special field – machinery and systems for the production of hoses in the automotive industry – we are the number one in Germany”, says managing director Dr Christian Köhler, who helped to establish Rubicon Gummitechnik und Maschinenbau GmbH in the early 1990s. The share of exports is meanwhile at about 80 percent. Formerly a centre of heavy mechanical engineering, today the core competence of high-tech production for producers and suppliers in the mechanical and plant engineering industry is in demand worldwide. Automation and digitalisation are key topics in this connection. That is also why Christian Köhler helped to establish another company – Rubicon Automation GmbH – in 2013. The company provides control systems for Rubicon extruders, but also develops and builds special conveyor technology, for instance for the food industry, and true to scale robot technology. Saxony-Anhalt will also rely on the competence of its mechanical and plant engineering companies in the future. In 2014, the state government decided to implement the “Regional Innovation Strategy Saxony-Anhalt 2014 to 2020”. The core of this strategy is to utilise and to further develop specialisation advantages for intelligent, sustainable and socially inclusive growth. For this purpose Saxony-Anhalt is oriented towards so-called “lead markets”, in which societal, social and ecological needs will have an effect on demand. One of these markets of the future is called “energy, mechanical & plant engineering and resource efficiency”. As one of the leading federal states in the utilisation of renewable energies, in this market of the future Saxony-Anhalt takes advantage of the existing technological advantage with regard to regenerative energy plants. Goal: regenerative technologies, highly flexible production processes and a resource-sparing recycling economy become systemically interlinked. In the lead market energy, mechanical & plant engineering and resource efficiency, companies work together with universities and scientific institutions in several networks and clusters. This includes the Cluster Sondermaschinen- und Anlagenbau (special machinery and plant engineering), the Spitzencluster Kreislauf- und Ressourcenwirtschaft (recycling and resource management) or the Innovation Cluster ER-WIN (intelligent, energy-efficient and resource-efficient regional value chains in industry) with the regional “Wachstumskern Fluss-Strom Plus” (“Growth Core Stream-Current Plus”). In this alliance, 19 companies and seven research institutions develop state-of-the-art mobile hydroelectric power plants for streams with low gradients. “We want to establish and expand Saxony-Anhalt’s and Central Germany’s technology and product leadership in Europe and also worldwide”, says Mario Spiewack. The engineer heads the river hydroelectric power alliance based at Otto von Guericke University Magdeburg, whose members have already realised specific projects on the Bode and Elbe rivers in Saxony-Anhalt. For instance, a vector research experimental vehicle is being used in the Elbe River together with SIBAU Genthin GmbH & Co. KG and the Fraunhofer Institute for Factory Operation and Automation (IFF). It serves as an experimental base for companies and research institutes as well as technicians and ecologists. The common goal is the ecologically compatible, and at the same time, the economic utilisation of hydroelectric power. AEM-Anhaltische Elektromotorenwerk Dessau GmbH also takes advantage of opportunities which the diverse research institutes in Saxony-Anhalt offer. The special purpose machine manufacturer has already provided more than 12,000 machines such as generators for hydroelectric power and shipbuilding as well as engines for mining, hoisting and construction machines as well as testing facilities in over 70 countries around the world. Despite this success, managing director Reiner Storch sees the compelling necessity to redevelop and further develop products in order to be able to survive in the global market. 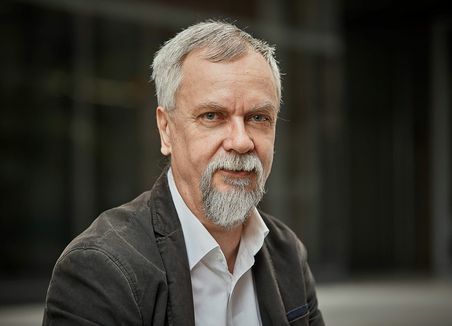 “With major developmental projects we accordingly fall back on the support of universities, associated institutes, the Fraunhofer Institute for Factory Operation and Automation (IFF) and other institutes, because we do not have the manpower for this purpose, and naturally with developmental components with which we do not have the necessary know-how, because it is not part of our core competence. One example is a currently proposed project on the subject of conditioning monitoring”, says Storch. The Federal State of Saxony-Anhalt relies on the lead market energy, mechanical & plant engineering and resource efficiency. The prerequisites are good, especially due to the dense research landscape related to mechanical engineering. In the state there are also universities specialised in young engineers, where about 11,000 students are currently enrolled in engineering. Why is industrial automation important and what changes in terms of procedure? Laempe Mössner Sintro GmbH, NTN Antriebstechnik GmbH and JS Lasertechnik GmbH from Saxony-Anhalt let you know. Laempe Mössner Sinto GmbH provides automation for its customers. As one of the leading manufacturers of core shooting machines, the company offers holistic, automated production processes for the foundry industry. Thus, the company does not limit itself just to the pure manufacture of machines for core moulding plants, but begins with sand preparation, then continues with core transportation and core post-processing, with auxiliary building sites in production such as tool changers and cleaning stations also being integrated. This also sees the use of robots. 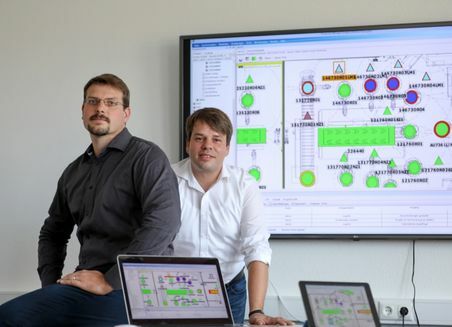 However, for Laempe Mössner, holistic automation now also means automatic recording and analysis of production data, as only through production monitoring can continuous improvement processes take place simultaneously to production. Here, there is always a focus on the customer, as Frank Wedemeyer, Head of Research and Development, always sees automation as a very individual solution. "The most important thing about automation for our customers is relieving the burden on the plant workers, making the workplace safer, executing processes in an automated fashion and collecting, analyzing and then possibly resetting the data generated in the process," he says. Gardelegen-based NTN Antriebstechnik GmbH uses completely automated production. Production lines with several machines for one operation are used to manufacture profile shafts, joints and side shafts for the car industry. In this way, production continues even when there are difficulties with a machine, unlike with classic production lines, in which the production part goes through the operations consecutively. Thus, around 17 employees are to be seen in the production hall per shift. "These employees are mainly responsible for monitoring, maintaining and repairing the processing machines and measuring equipment," says Managing Director Guido Steffen. By means of a traffic light system, it is displayed on the machines whether everything is running smoothly or whether a check must be made to see if everything is in order. With this method, approximately 1.7 million parts are manufactured every year. An expansion of the machine stock is already planned for the future. Automation yes, but unthinkable without people. That is the motto of JS Lasertechnik GmbH. To specify individual processes in the production of professional stainless-steel processing and metalworking and make them more efficient, automated delivery options are focused on here. Large crude metal parts are thus put in place precisely and more quickly for production using automated machine processes. However, owing to the individual customer wishes, the human being as a worker always remains the most important component in production. "Above all, automation reduces the workload for our employees and saves time," says Managing Director Jens Schumacher. Moreover, he sees major advantages in the use of an ERP system (enterprise resource planning). From the system kit, the company has produced its own, individually tailored planning system. "I started with invoices. Now we even buy pencils using it. Additionally, it makes production transparent. We can tell the customer at any time how far along its product is in the production process." He sees this as not just an advantage, but also as a customer service that is in demand. For ten years, JS Lasertechnik has produced metal products for machine, vehicle and ship construction as well as all other industries in addition to individual customer wishes. Here, tubes as well as metal plates in considerable sizes are cut precisely with lasers, after which they are also assembled on request or processed further. The company now has customers around the globe. There is no more planning on the drawing board. 3D software solutions for virtual planning, simulation and visualization of complex manufacturing processes are the status quo today. 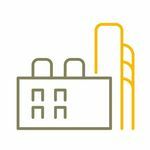 Investors and companies can simulate the system before building a production plant or logistics center. A 3D process visualization is nowadays indispensable before large projects are implemented. The advantages are obvious: more precise planning, higher production, greater safety and efficiency, lower energy costs. 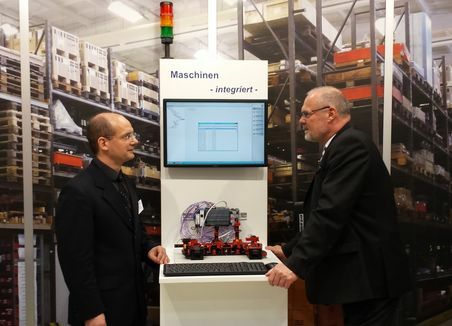 Bridge-builders from Saxony-Anhalt got off to an early start for Industry 4.0. 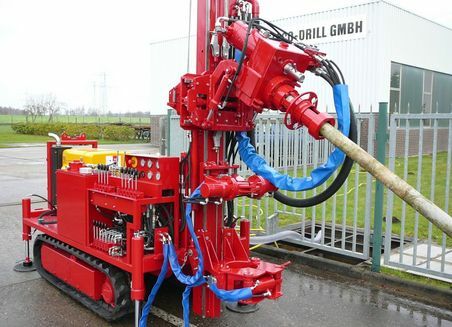 Wellco-Drill in Stendal is focusing on a return to its roots and the industry 4.0. From the computer directly to the product - that's what modern manufacturing, called Industry 4.0, is aiming for. 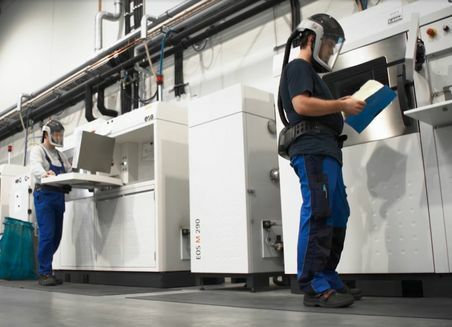 Additive 3D production is regarded as pioneering because it can produce high-quality products with often fewer resources and thus more environmentally friendly than before. Additive manufacturing technologies can help to reduce product development time by transferring computer-designed products directly to reality - 3D printing. 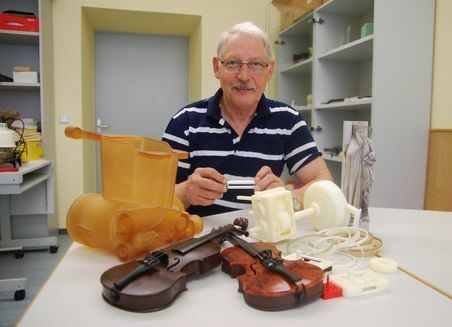 Printing the future: Merseburg University and network research additive manufacturing. Market leader in 3D printed metal parts: citim supplies all over the world. From the computer and straight to the product – such is the current goal of modern manufacturing, also known as the Industry 4.0. In the age of digital networking, the demands placed on modern production facilities are increasing. In order to master this complexity, many approaches and methods have been developed in recent years to plan future-proof factories. 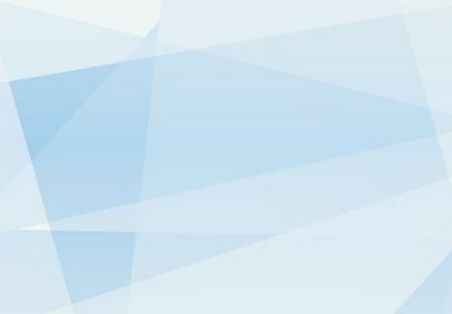 Interconnecting these solution elements leads to industry 4.0 and a digital factory of the future is expected to fully integrate these solution elements. This article describes what challenges arise during planning and how to overcome them. Industry 4.0 requires the digitisation of logistics. In Saxony-Anhalt, economy and science are closely linked, in order to develop application-oriented technologies as well as interactive assistance systems for the Industry 4.0. The “intelligent pallet” is an innovative approach in this direction. The pilot project is run by the Fraunhofer Institute for Factory Operation and Automation Magdeburg IFF with partners from the industry and economy. “Each of us has their own personal pallet”, Klaus Richter smiles and places his at the top on a pile of plastic pallets - as a photographic model. The intelligent pallet in the Internet of Things (IoT), as it is called officially, becomes an eye-catcher when he switches on the green light, which illuminates an electronic board behind a viewing window. Those who have a sense of and an interest in logistics will get curious here. “At the German Logistics Conference in Berlin, the representatives of the state criminal police office also asked for details about what research we conduct here”, Klaus Richter says. He is a scientist at the Fraunhofer Institute for Factory Operation and Automation IFF in Magdeburg. The material flow technician with a doctorate is an executive head at IFF in the logistics area. “Industry 4.0 would not be possible without Logistics 4.0”, the expert explains. Within the logistic cycles, pallets, boxes and containers are also in transit. And these all too often get lost - which also explains the criminologists’ interest. With its integrated wireless and sensor module, the Intelligent Pallet becomes a part of the “Internet of Things”. This means that it communicates data via internet to its IoT Cloud without anyone getting involved. At the same time, you can read on the computer where the pallet is located on its transport route, what its status is, what happens to its load or which route materials take within a manufacturing process. The latter could give a better “feel” for complex workflows in the production process, Richter explains, citing a large car manufacturer with its many supply companies as an example. The automotive manufacturer is a partner in the pilot project “Intelligent digital container”. It also includes a variant of the intelligent pallet in a feasibility study. The scientist talks about a previous tried and tested model which has been used productively in the retail trade for several years: the Heilbronn pallet. The Fraunhofer IFF developed it together with the partners metraTec GmbH, Telent GmbH and Cabka IPS. A retailer operating Europe-wide uses these pallets for goods tracking - from production and the central warehouse to each individual branch office. Furthermore, as the material flow expert says, seamless transparency is reached in empty pallet management with the aid of the integrated identification transponder. This thus ensures that sufficient load carriers are always available on the production site, in order to guarantee a continuous flow of goods. “In this pallet cycle, well over two and a half million pallets are now used - with a rising trend”, Richter emphasises. A further development of the Heilbronn pallet is the aforementioned Intelligent Pallet in the Internet of Things. This enables almost seamless goods tracking. Pallets are transported to external clients on closed transport chains inside the company as well as on open routes every day. “In addition”, Richter says, “the sensors record excessive vibrations or deviations from the required temperature range. This information is sent via the IoT Cloud to the user in real time. They can take countermeasures immediately.” Another advantage is increased security against theft. The pallets or also building site containers report via the IoT Cloud when they are removed from their current storage space. This could even still prevent a theft. 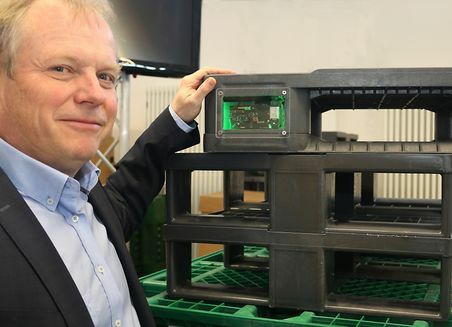 Fraunhofer IFF is also developing this smart pallet in collaboration with metraTec GmbH from Magdeburg, which manufactures the electronic board; IoT solutions for smart communication channels come from Telent GmbH in Stuttgart; Cabka IPS is the manufacturer of plastic pallets. The expected applications of the integrable wireless and sensor module would give the company a new impetus in the logistics industry and open up new business fields, Klaus Richter predicts. Cabka IPS have seen this for themselves. The Thuringian company manufactures pallets and boxes made of up to 100 percent of recycled plastic. The economically and ecologically sustainable products are sought-after worldwide. Those who buy these pallets make a commitment to the conscious and careful handling of resources. “The price of a wooden pallet starts at three Euros, the high-quality pallet made of plastic costs between € 25 and 30”, Klaus Richter says. But this price corresponds to a lifespan which is at least seven times longer than that of a wooden pallet. Richter does not need to emphasise what financial losses this involves for the owner, if these pallets get lost. The logistics expert makes it clear which options are provided with sensor data collection: Companies have a permanent overview of the location and movement of its cargo, and customers know exactly when the product reaches them. In addition, pallet and container management could be optimised in large warehouses. Prototypes of the smart pallet should now be tested by the retail trade. “What’s more, in practice, the wireless and sensor module will be the exact opposite of a large bright eye-catcher. In miniature size it is affixed in a concealed place. Augmented Reality - The factory of the future and the workbench 2.0. The Magdeburg Institut für Automation und Kommunikation e.V. (ifak) and the realisation of the Industrie 4.0 vision. Artificial intelligence in industrial maintenance & industrial chemistry 4. 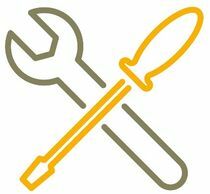 What if you were able to foresee a system failure in the long term or if you could determine when maintenance should really be carried out? Imagine being able to control and manage maintenance costs, downtime and stock levels effectively and in the long term! 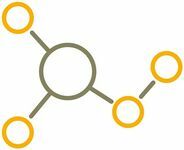 What does industry 4.0 look like in the chemical and plastics industry? Chemicals 4.0 describes a living, long-term process that encompasses both product development and organizational structures. In Saxony-Anhalt, DCI has developed a unique technology with which an entire vehicle is completely digitally recorded and the inspection is automated for the first time. DCI makes use of Artificial Intelligence techniques for it. It is dazzlingly bright in the Twinner Space. The 70 square-metre scanner station into which the car rolls in is evenly illuminated. When the door is closed, the system is lit up with white light and up to 20,000 lux; normal daylight starts at 3,500 lux. It takes eight minutes, then around 40 sensors and cameras have completely measured, scanned and photographed the vehicle - and recorded its status precisely. UV and infra-red photos are also part of the analysis methods in the Twinner Space. For example, the UV light can determine in which places the vehicle was repainted. 360 degree images are created from the interior space. And the bottom side is also displayed in high resolution; the vehicle does not have to be on a lifting platform for it. “The machine measures all the parameters concerning the exterior of the vehicle: status of the chassis, tyres, underside, scratches, dents, other damage. It is an external view, but which constitutes 90 percent of the vehicle’s evaluation”, explains Geert Peeters, Managing Director of DCI Digital Car Institute GmbH from Halle (Saale) in Saxony-Anhalt, founded in 2017. 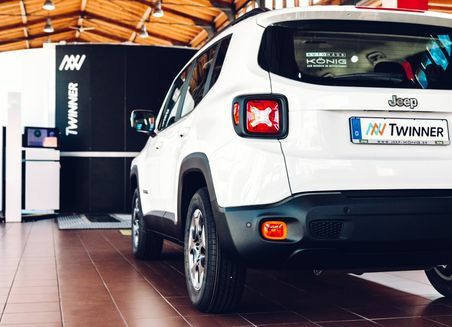 All the data recorded is merged in the Twinner Cloud: photos and scans with the facts about the vehicle type. This creates a complete digital image of the vehicle. And from the analysis of the 3D model and the comparison with the previously used list of damages, a valuation report is created - automatically, quickly and cost-effectively. The developed DCI software uses Artificial Intelligence for this: “The data generated in the Twinner Space per digitisation are collected in our machine learn-systems. The data is analysed in such a way that individual damage profiles are detected and automatically assigned. The more data sets we analyse in our system, the more our system learns to optimise the accuracy of the evaluations and the higher the degree of automation becomes”, Geert Peeters says. Today, 5.5 million vehicle expert reports are done every year in Germany, largely manually. “The market for an automated inspection of vehicles does not exist yet. We actually run market development”, Geert Peeters says. We hope, Geert Peeters says, for a market share of 25 to 30 percent. This level of automation promises a better quality of inspections, higher efficiency and therefore significant savings. With the innovative concept of a complete digital recording of the entire vehicle and of the automated inspection, DCI would like to make a start this year: “The first version of our product appeared in June 2018. We have now set up six systems, two of which in China”, Peeters says. This should be expanded to 80 systems in Germany in 2019. The aim is to make as many digitisations as possible, as expert reports can be created based on them. The state of Saxony-Anhalt promotes the first automated digital vehicle inspection. DCI GmbH is an affiliated company of APi International AG from Leipzig and the IBG funds, the venture capital fund of the state of Saxony-Anhalt. The IBG funds provide capital to young innovative technology companies with long-term and above-average growth potential in the state. DCi’s registered office is located in the city of Halle, currently with around 20 employees. In April 2019 there will be more than 50. The number of employees should increase from 70 to 100 already this year, says Geert Peeters, who is also Managing Director of APi. Both companies will soon merge to Twinner GmbH; the state of Saxony-Anhalt has extended its participation. Saxony-Anhalt is the home of the “Twinner”: A Twinner Space is already working in Halle (Saale): at the König car dealership. The car dealership does not pay for the system directly, but pays a transaction fee per use which covers all the investments. The dealer costs for photographers, reviewers and car dealership employees are therefore almost entirely omitted. Managing Director Peeters is certain that the future of vehicle assessment lies in digitisation. The need for simple as well as time and cost-efficient options for the digitisation of vehicle data is continuously increasing. 80 percent of all vehicles have been traded on stock markets such as mobile.de or autoscout24. These require images of good quality so that the vehicle can be displayed well. And data such as motor, equipment, colour, leather seats, lighting, air conditioning can also be automatically determined; the results of the inspection are processed in such a way that they can also be used again for the sales process. With the Twinner, vehicle fleet managers, leasing companies, insurance companies, second-hand vehicle dealers and many others have the chance of redefining their business. This opens up new opportunities for holistic online marketing, especially for the vehicle remarketing area. The client can also examine the car virtually at any time, objectively, round the clock, worldwide. But an industrial use of Twinner technology is also plausible: The system should also be interesting for the manufacturing industry in the automotive area. At any rate, 30 percent of the delivered vehicles already have some damage, for instance small scratches on the exterior mirror which are not initially seen in manufacturing. 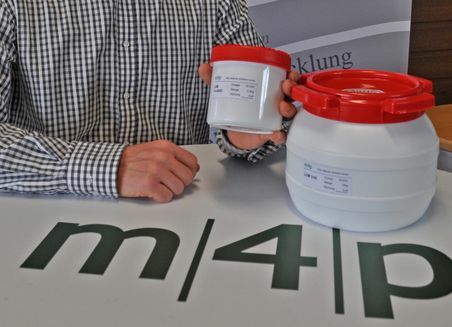 Best prospects for the chemicals and plastics industry in Saxony-Anhalt. Rehearsal rooms for the next industrial revolution. Digital Engineering and Industry 4.0 at Fraunhofer Institute for Factory Operation and Automation IFF.